Are you or anyone you know interested in a career in cosmetology, barbering or makeup artistry? If so, it is crucial to choose a high-quality beauty school. The quality of the education and experience, as well as who you know is key to getting your start in these cosmetology industries. 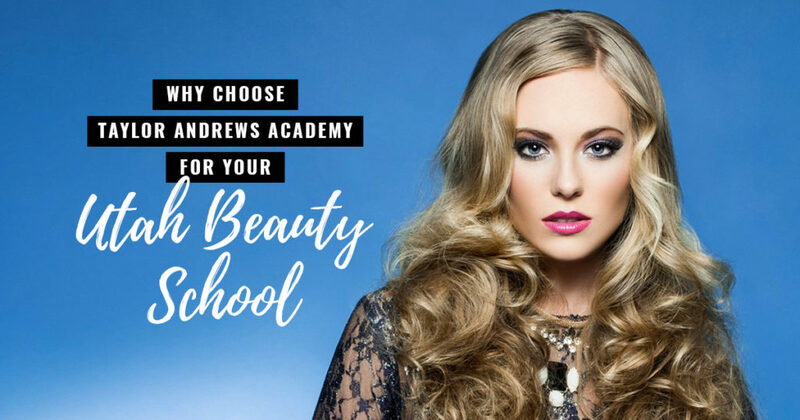 Whether you’re a high school senior and have always dreamed of being a cosmetologist or you’ve been working for a number of years and feel led to change careers and enter the cosmetology industry, Taylor Andrews has the right environment for you. You may be thinking that this is just another beauty school. However, Taylor Andrews Academy of Hair Design has world-recognized programs, flexible scheduling and internationally renowned alumni and instructors to help you gain the skills and experience to flourish in the industry. There are many beauty schools out there to choose from, but how many are truly dedicated to the success of your cosmetology career? Taylor Andrews offers multiple schedules, hands-on externships that give students experience in the world’s finest salons, has quality, industry recognized and renowned instructors and assists students with the tools, knowledge and opportunities to launch their successful, dream career in makeup artistry, barbering or cosmetology. To Enroll click on our courses tab and then click on Cosmetology Enrollment Form. If you want more information or for some reason need more convincing, request more information today!